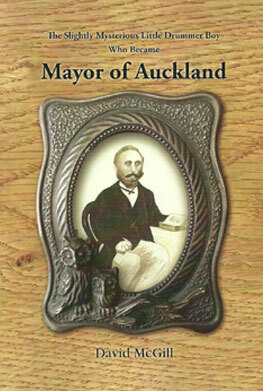 This is a social biography of the life and times of 1880s Auckland mayor William Richard Waddel, written by his great-grandson. It is a pioneering story of how a drummer boy in Ireland emigrated at age 16 to Auckland. Despite losing his father his first year here, he became in seven years the leading baker in Auckland, rose to the rank of captain in its Volunteer Force and joined every civic organisation there was. On becoming mayor he beautified Albert Park, introduced trams to the city, built the first bridge over Grafton Gully, the magnificent public library and art gallery and the first fresh-water baths. As chairman of the Auckland Harbour Board he opened the Calliope Dock at Devonport. He was the first New Zealand mayor to sire a child in office. 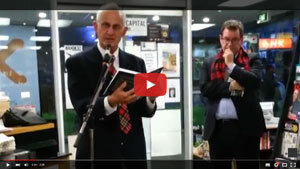 Half of Auckland attended the funeral of this hugely popular politician who presided over both the best and worst of times, expanding civic facilities and cutting back when depression hit, always with good humour and wit that endeared him to all citizens, never more so than when he replied in a Shakespearean pastiche to the civic gift on the birth of his boy. Growing up in Auckland and drawing on the memories and memorabilia of relations, the author contrasts the mayor’s Auckland with its present-day status, including photographs of then and now in both public and private capacities. This lavishly illustrated volume in extra large paperback, postage free, $37-95.